So…I’m sensing a theme in what I’ve been doing lately. Apparently, I’m all about a good road trip. (You can see the proof here, here and oh ya, here.) But honestly, I can’t even blame myself at this point. Instead, I blame Montana’s wide-open spaces, colorful characters and a landscape that seems to be calling my name ALL THE TIME. With that said, it seems appropriate that this week (Friday, May 13 to be exact) I’m setting off on an epic road trip through Western Montana’s Glacier Country. “What’s so epic about it, Tia?” you ask. Well, I’ll tell you. I’m taking the usual road trip and turning it into a (road trip) party. Because why take a road trip alone when you can take a road trip with 20+ of the most fun, adventurous people you’ve ever met? This is how much I love road trips and exploring Montana! This week, I’m welcoming Expedia and their team of viewfinders—as well as some incredible folks from England, Australia, Korea, Mexico, Brazil and Canada—to my corner of Montana where we’ll experience some of the best that Big Sky Country has to offer. 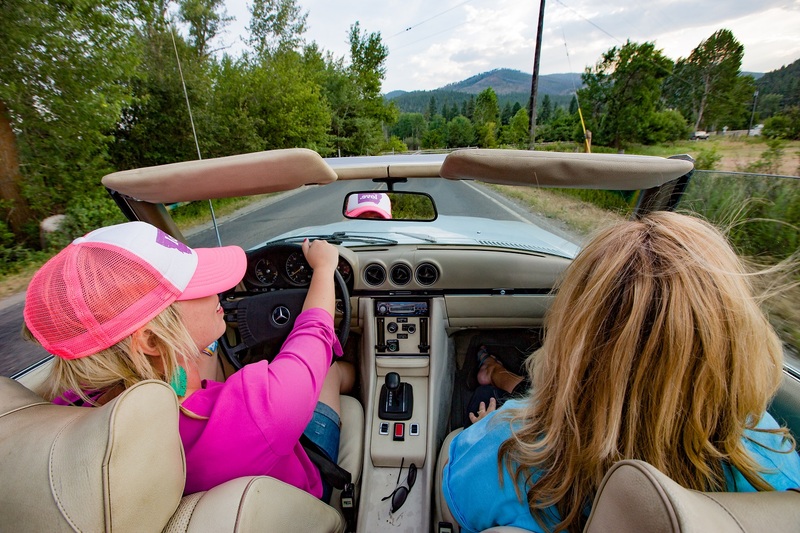 And because there’s literally so much to explore, we’re breaking the road trip into three sections, with each leg focusing on a particular offering in Western Montana: urban (Missoula), unplugged (Flathead Lake Lodge) and unexplored (Whitefish and Glacier National Park). (Montana) urban, unplugged and undiscovered. 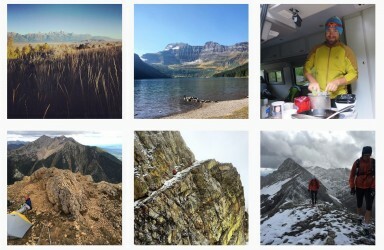 If you want to see what May in Montana is like, follow along to see real-time updates on snapchat (username: GlacierMT), instagram (GlacierMT) and twitter (GlacierMT). And if you want to see way better photos than any of the ones I’ll take, search hashtag #PictureMontana on instagram and twitter to see photos from the rest of our soon-to-be Montana-lovin’ crew. 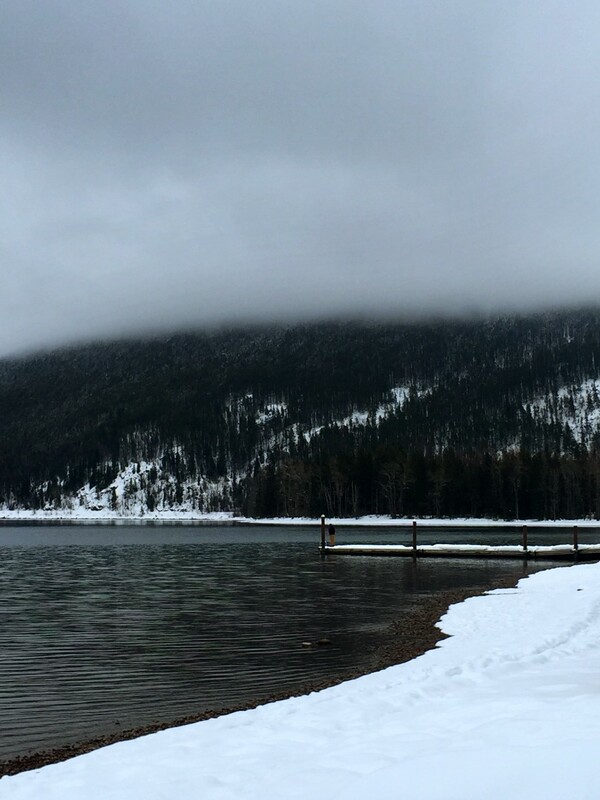 In the meantime, I want to know one thing: How do YOU #PictureMontana? Comment below and let me know. 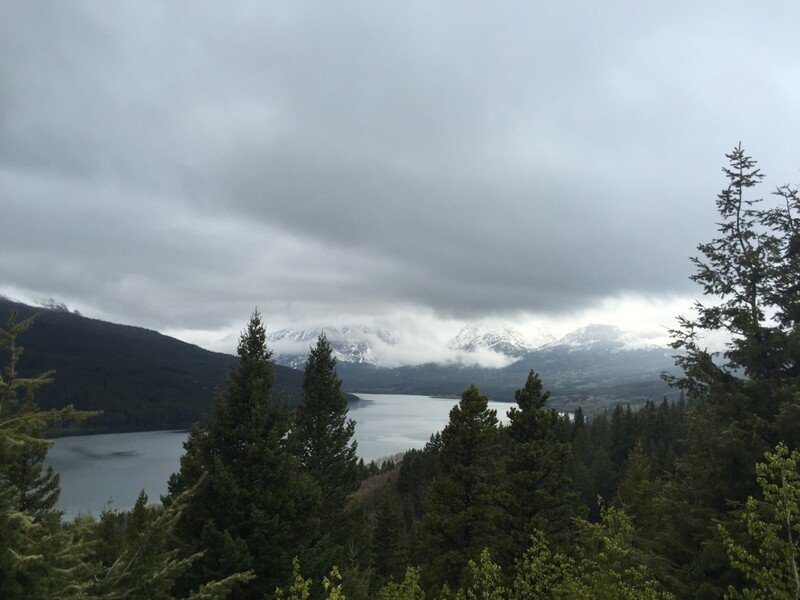 This entry was posted in Montana and tagged flathead lake, Glacier Country, Glacier National Park, Missoula, Montana on May 9, 2016 by tiatroy. 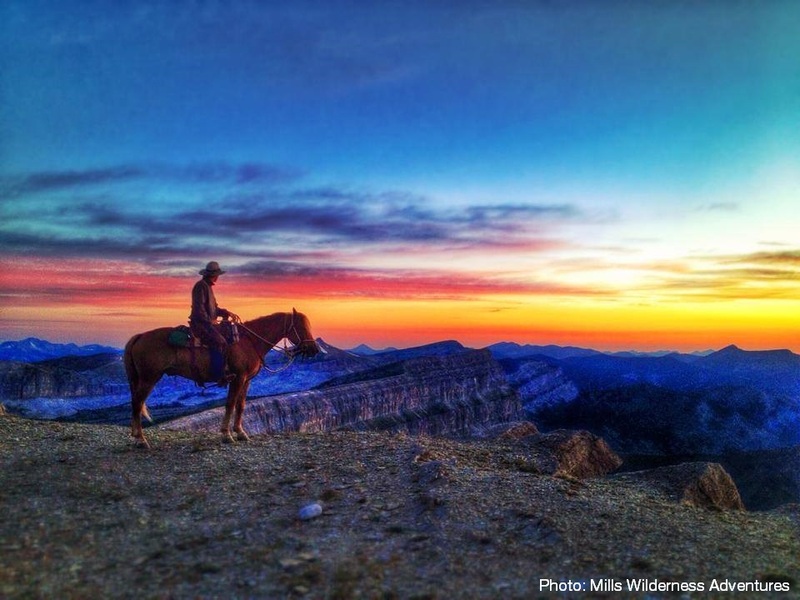 This Saturday kicks off one of the best weeks of the year: National Park Week! And one of the greatest things about this week, besides the fact that our country’s best idea deserves a week of celebration, is that entry into every national park in the United States is FREE. Kind of awesome, right? 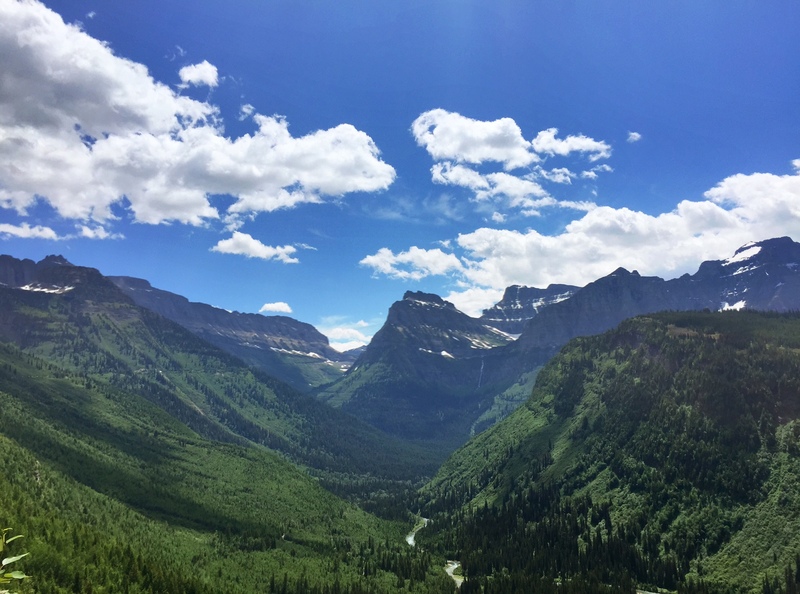 As a girl who grew up a short drive south of Glacier National Park (and spent part of every summer in the park), you all know that I’m a big fan of all things Glacier. Sidenote: if you’re a new reader, welcome! 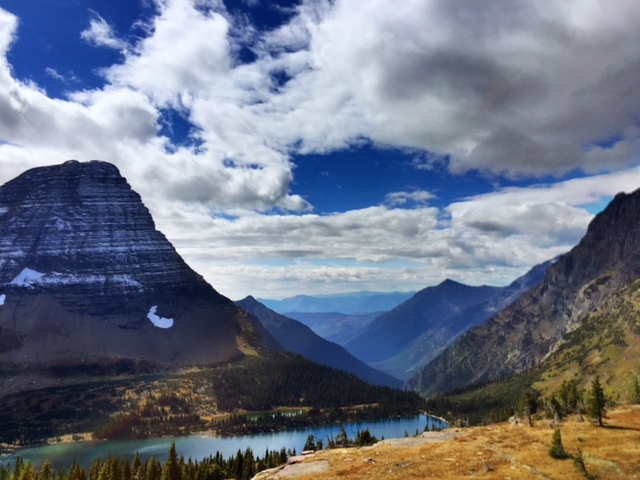 For some background on my love of the Crown of the Continent, you can check out past posts about Glacier National Park here, here and here. And while I could sit here and write about how awesome the park is (which is totally something I love to do), this time I’d rather show you. Or better yet, I’d rather have my friend—and amazing photographer—Jacob Frank show you. 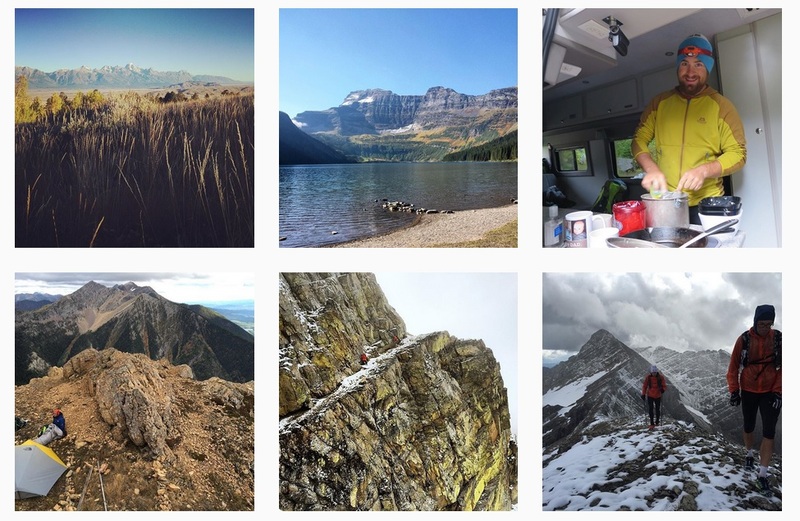 As part of National Park Week, Jacob will taking over the @GlacierMT instagram and sharing images from Glacier National Park. And as someone who is a big fan of Jake and his photography, I’m so excited to have him taking over our instagram page! If you haven’t yet, be sure to follow @GlacierMT as he’ll be posting photos there from Tuesday, April 19 – Sunday, April 24. A sneak peek at some of Jake’s photography. -National parks throughout the country are hosting Instameets on Saturday, April 23. Find one near you here. 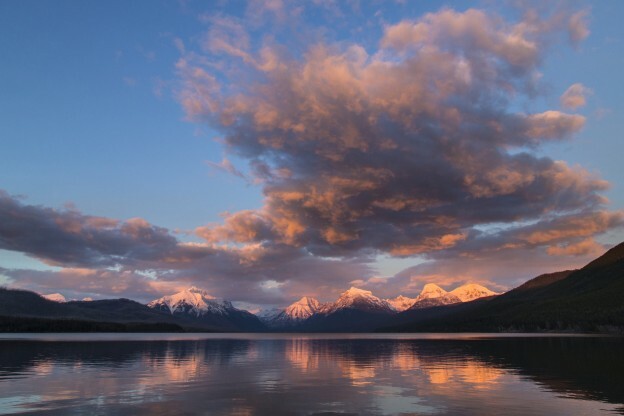 -If you’re anywhere near Montana’s Glacier National Park, plan to join Ranger Jake, Andy Austin and other park lovers at the Apgar Village public boat dock at 7 p.m. on Saturday, April 23 to shoot sunset at Lake McDonald. 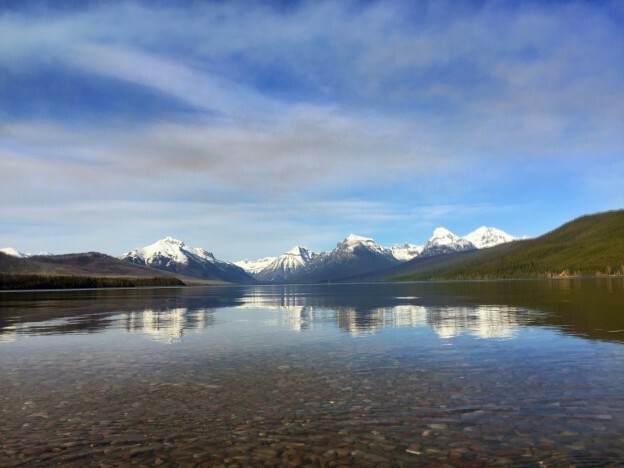 This entry was posted in Glacier National Park and tagged Glacier National Park, Montana on April 14, 2016 by tiatroy. For those of you keeping score, I’m sure that by now you know that I LOVE Montana. It’s just that this place that I call home has such a special spot in my heart and I can’t image loving anywhere quite as much as I love Montana’s big blue sky, dramatic temperatures, salt-of-the-earth residents and magical moments. It’s safe to say that I’m totally obsessed and love sharing my Montana with all of you! And, because I’m a lover (and not a fighter) of Montana and Glacier National Park, I’m really excited to be celebrating the centennial of the National Park Service this year. 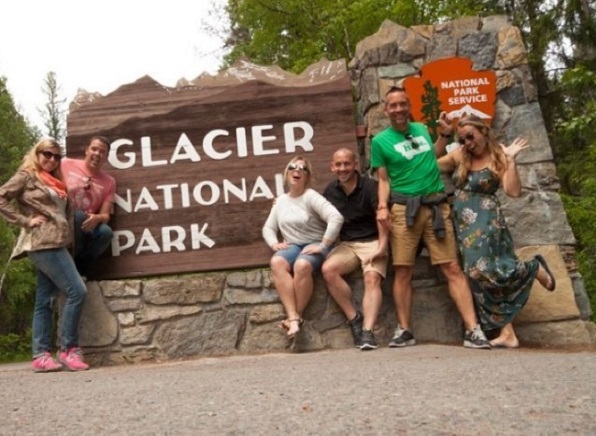 In fact, I’m so excited about the 100 year anniversary that I got together with some folks who love our national parks almost as much as me (just kidding: I think we’re currently tied in our love for the parks) to really kick off this summer in style. My partners in Montana-lovin’ crime: Expedia. My pals over at Expedia love national parks so much that they’ve actually partnered with Brand USA to sponsor the movie National Parks Adventure, made by filmmaker Greg MacGillivray and narrated by Robert Redford. Sidenote: swoon. And the best news: the movie premieres February 12, 2016 and is (most likely) coming to a theater near you soon. And while I’m excited about the movie (word on the street is that my boo Glacier National Park makes a cameo in the film), I’m really excited for what else Expedia is doing: they’re sending their team of viewfinders to the top 10 national parks in the United States. Um, pretty awesome right? But you know what’s even more awesome? Expedia is bringing their entire Viewfinder team to Montana this May and will be exploring Western Montana’s Glacier Country on an epic #PictureMontana road trip. And y’all are invited to come along! This girl is THIS excited for #PictureMontana! Starting May 13 and ending May 20, we’ll be hitting the road (and if you can believe, it, I get to road trip with them!) and exploring this corner of Montana with highlights that include Missoula, the Mission Mountains, Flathead Lake, Whitefish and Glacier National Park. 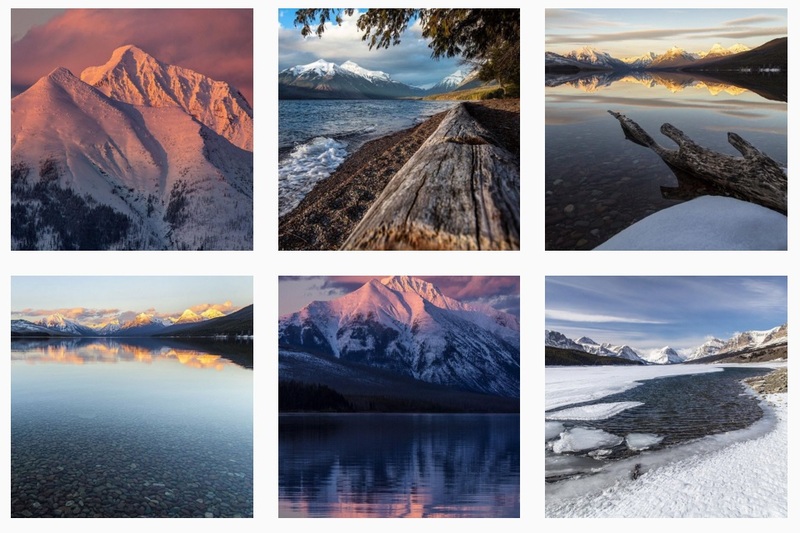 Simply follow the hashtags #PictureMontana and #GlacierMT on instagram and twitter during the third week in May for a peek into Western Montana. 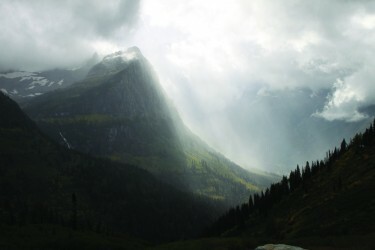 -Passion Passport and Expedia are giving away a trip to Glacier National Park! -Mark your calendars and catch a showing of National Parks Adventure when it comes to an IMAX theater near you. PS: Montana, it’s playing in West Yellowstone on May 1. -For more information about #PictureMontana, be sure to follow us at @GlacierMT on instagram and twitter and connect with us on facebook here. -Join the celebration of our country’s national parks by using #FindYourPark to share your memories or favorite moments in national parks on social media. 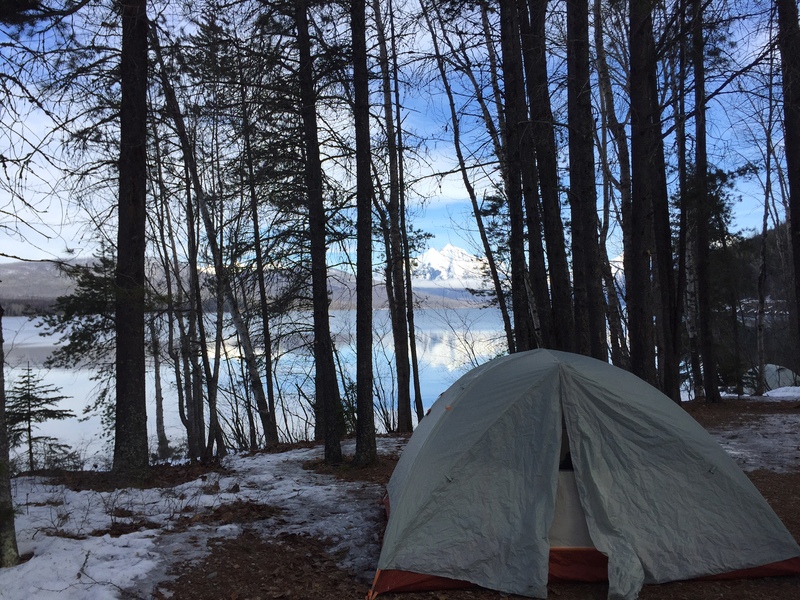 -Join us on May 18, 2016, in West Glacier for a “Happy Birthday, National Park Service” party. We’ll be sure to share more details as we finalize party plans. Looking forward to exploring Montana and celebrating our national parks with all of you! 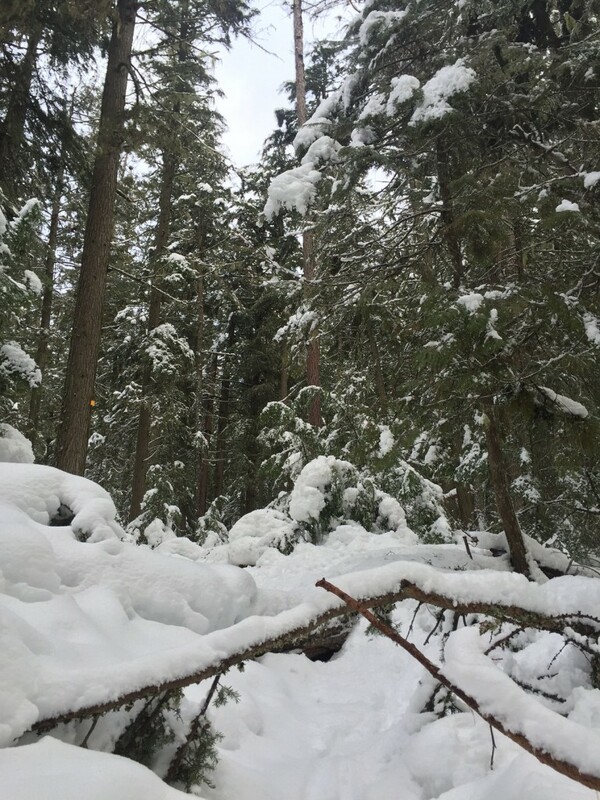 This entry was posted in Glacier National Park, Montana and tagged Glacier National Park, Glacier Park, Montana, Spring on February 10, 2016 by tiatroy. Truth time: I’ve never been a big brunch girl. To me, breakfast and lunch have always been two separate and distinct meals that weren’t meant to be combined. Plus, I’m the kind of person who can’t possibly eat lunch without already having eaten breakfast (weird, I know). 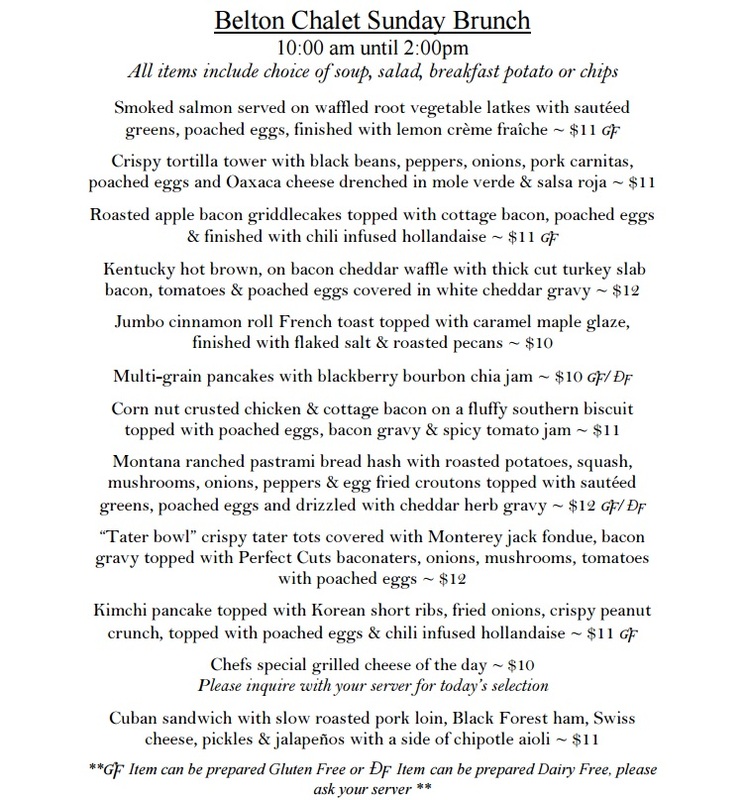 All of this was true until I laid my eyes on the brunch menu at the Belton Chalet in West Glacier, Montana. 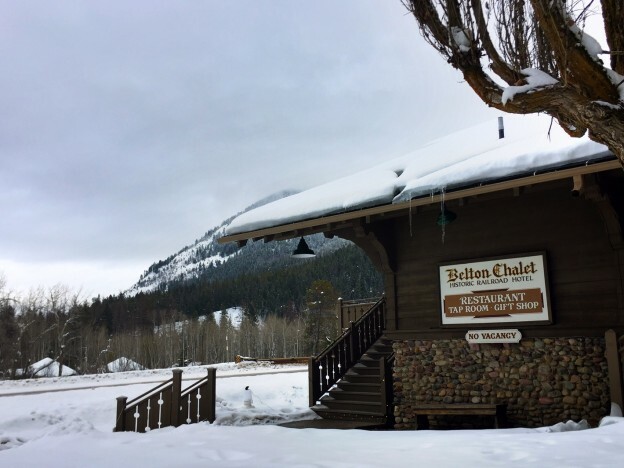 Located in West Glacier, the historic Belton Chalet is located just outside Glacier National Park’s west entrance. Last week, before setting out on a snowshoe excursion in Glacier National Park (you can read more about that here) with my girlfriends, we decided to stop at the Belton Chalet for brunch. And we were not disappointed. Between the four of us, we dined on the crispy tortilla tower (which was amazing), roasted apple bacon griddlecakes, tamales (the special that day) and jumbo cinnamon roll french toast. The Bloody Mary Bar is open for business on Sundays. 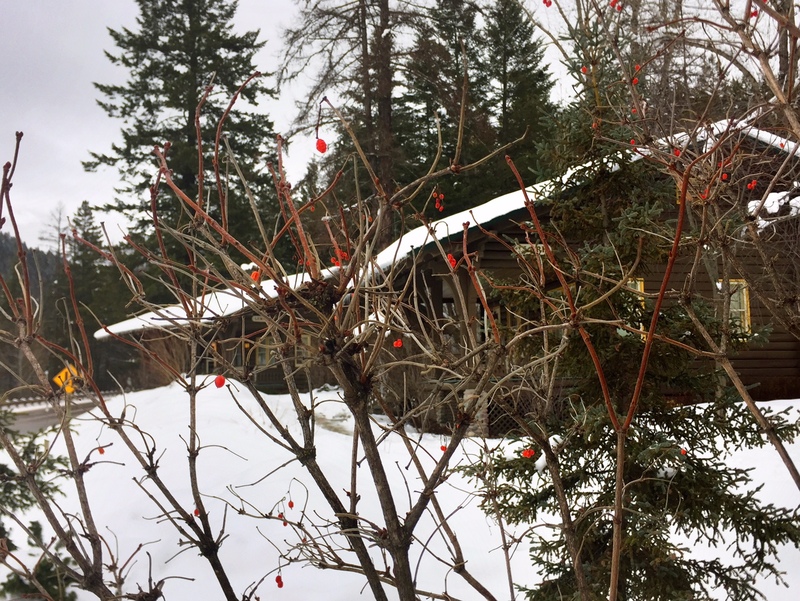 These adorable cottages, located on-site, are available for overnight stays year-round. Needless to say, we left with full and totally satisfied. 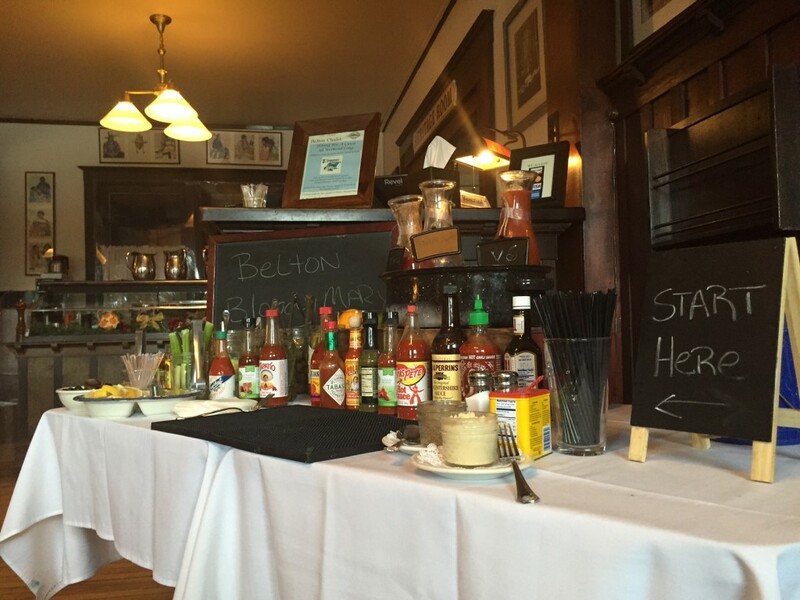 -The Belton is open for brunch on Sundays from 10 a.m. – 2 p.m. through March 21, 2016. -Do yourself (and the world) a favor and order the jumbo cinnamon roll french toast. It’s that good. -Their on-site cottages, Lewis and Clark, as well as the Adobe House are available for overnight accommodations year-round. Plus, they have a few winter getaway packages that include lodge rooms (check those out here). 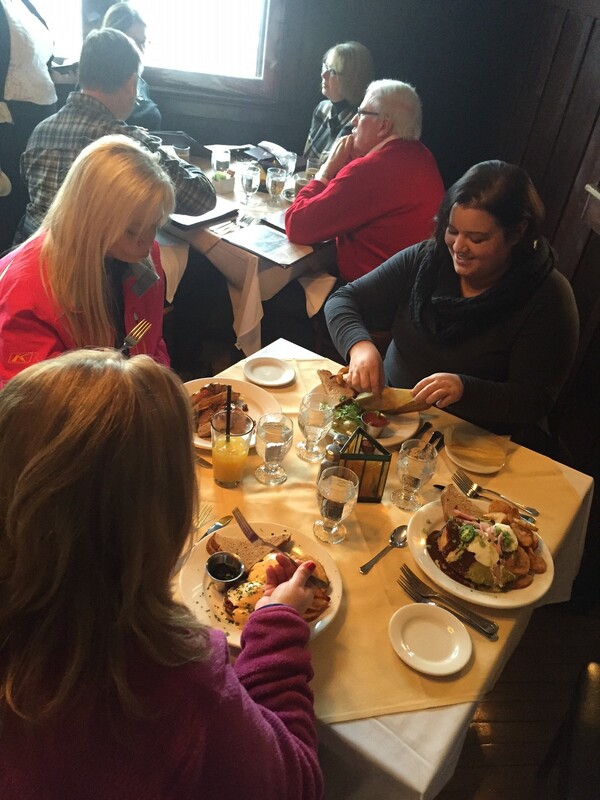 -If dinner is more your speed, the Belton is open Fridays and Saturdays from 3 p.m. – 8 p.m., now through March 21, 2016. 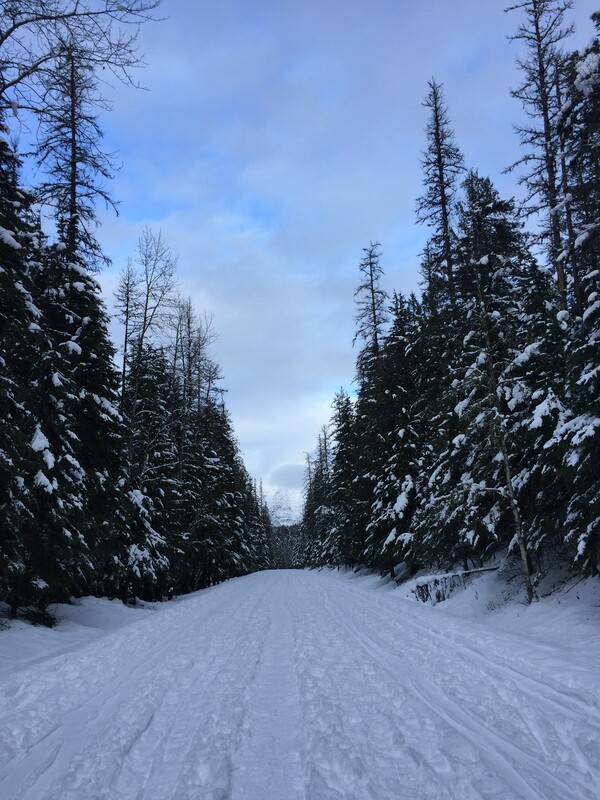 This entry was posted in Winter Fun and tagged Food, Glacier National Park, West Glacier, Winter Fun on January 26, 2016 by tiatroy. Earlier this week, some of my favorite girls and I had a hankering to get outside. 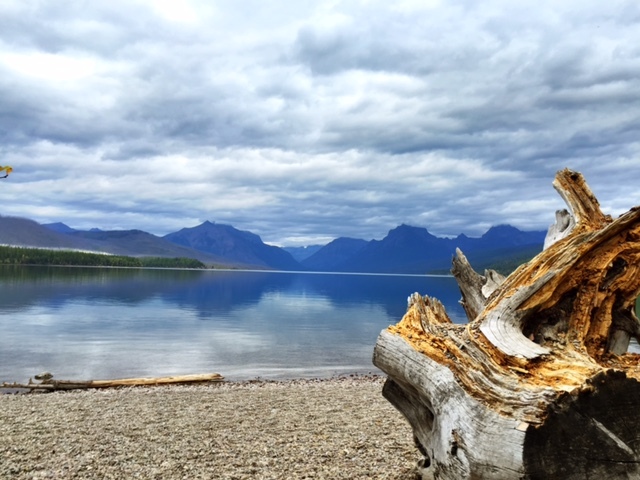 As we were brainstorming some ideas on where we could go and what we could do, we started thinking about our backyard playground: Glacier National Park. 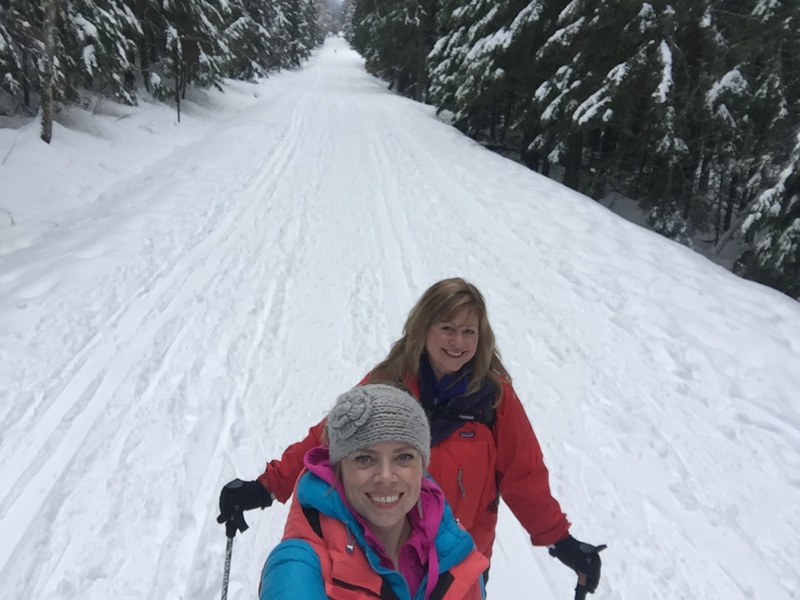 Of our group, I was the only one who had ever gone snowshoeing in the park (you can read more about that day—which included seeing a bald eagle pluck a fish out of the waters of Lake McDonald—here). And if we’re being honest, that was something that needed to change. So we loaded up the suburban and headed north to spend the day snowshoeing in Glacier National Park. The obligatory group photo op at the west entrance. After we arrived, our first stop was Apgar. No matter how many times I’ve visited this special place in Montana (with this group and others), I always make sure to take the time to pop into Apgar Village and see the many moods of Lake McDonald. The clouds created a dramatic scene. The low clouds created a serene, almost charming view. 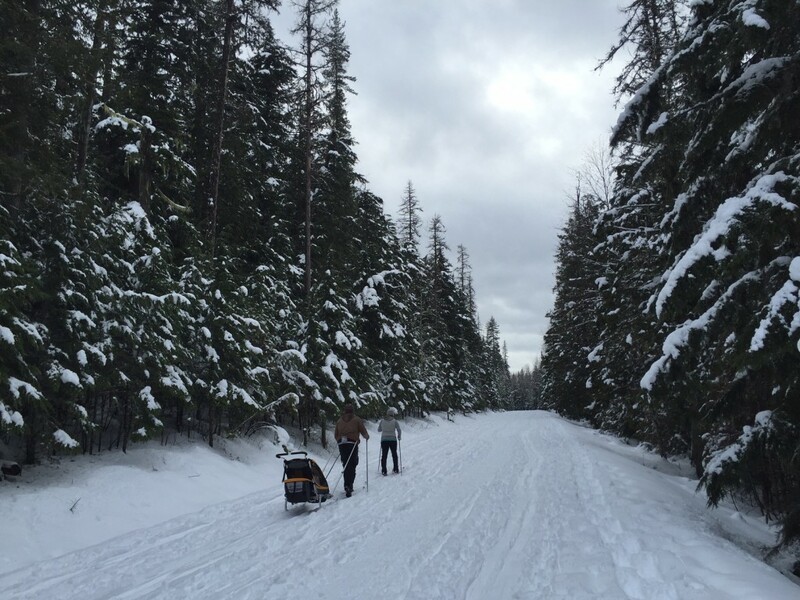 En route to Lake McDonald Lodge, the starting point of our snowshoe trek. After we parked at the lodge (sidenote: check out the most up-to-date road report for the Going-to-the-Sun Road here) and geared ourselves up, we made our way up the road and were quickly surrounded by snow-covered trees, glimpses of mountain peaks and snippets of a beautiful blue sky. Growing up in the mountains, this scene is like food for my Montana-lovin’ soul. My work boo (and one of my favorite adventure partners). Blue sky is also my boo. Looking up the Going-to-the-Sun Road. This family was the cutest. 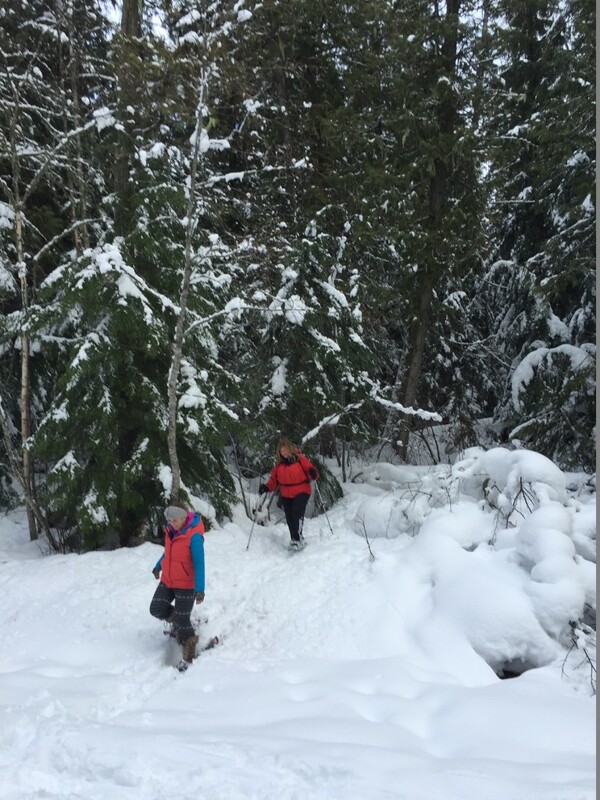 And sometimes, after a great day in the park, you just need to run (in slow motion) in your snowshoes. 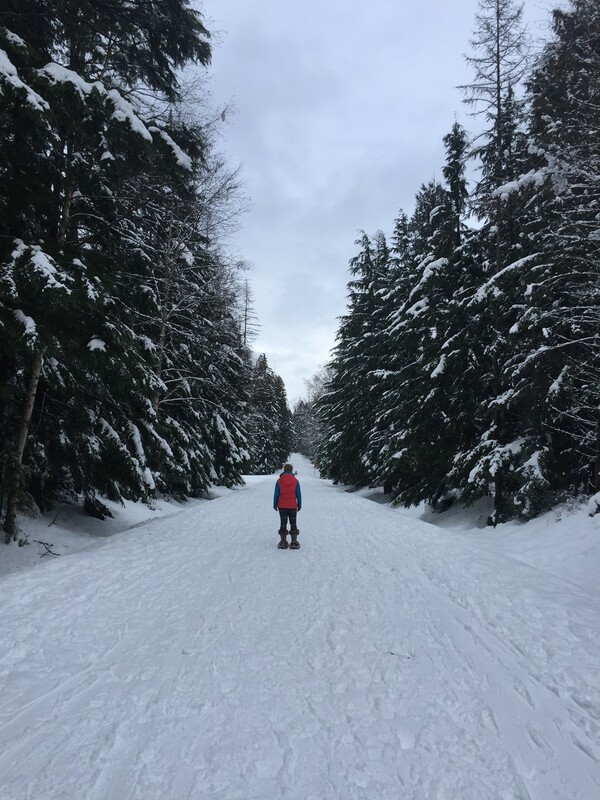 This entry was posted in Glacier National Park, Winter Fun and tagged Glacier National Park, Winter Fun on January 21, 2016 by tiatroy. You guys, 2016 is going to be a big year for the National Park Service! During the year, they’ll be celebrating 100 years of stewardship within the national park system. In honor of the 2016 centennial, the National Park Service is going to offer 16 fee free days (this is seven more free days than 2015) which means we can better take advantage of playing in our favorite national parks. My advice? Mark your calendars now for these fee free days and plan to go see at least one of the 400+ national parks in the United States. One favor: be sure to include a visit to my favorite, Glacier National Park. There’s a common misconception that Western Montana’s Glacier National Park closes during the winter months but that, my friends, is not true. 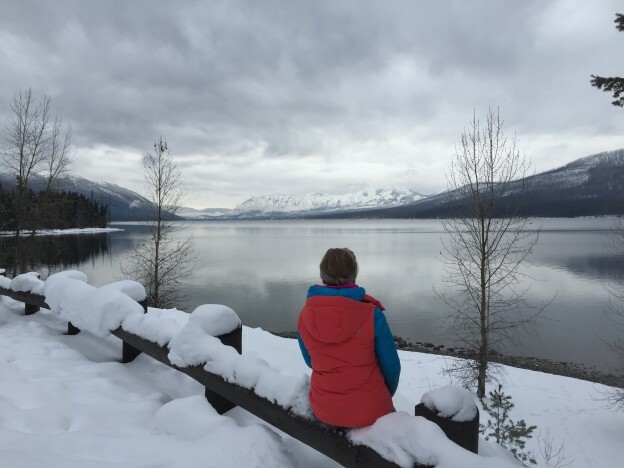 Glacier National Park is open year-round and January offers a quiet, serene look into winter in Montana that not many get to see. 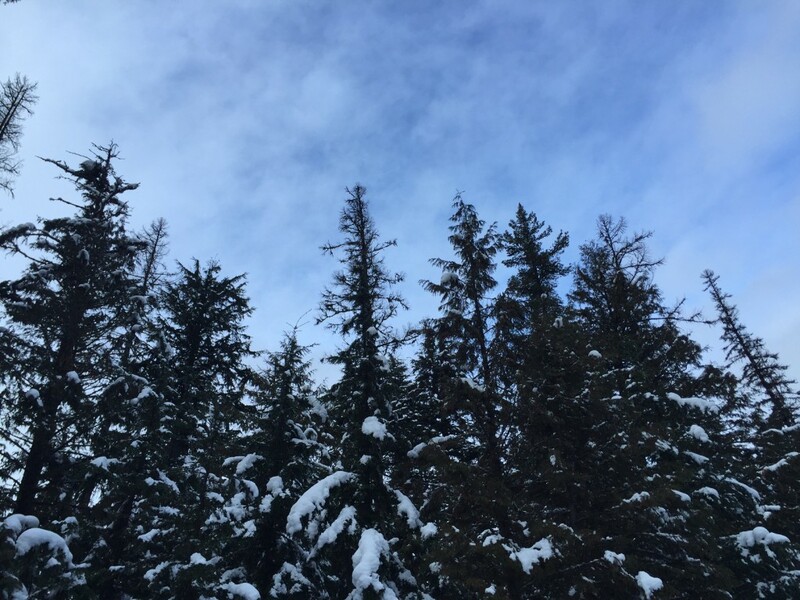 Sidenote: for ideas on visiting Glacier National Park in winter, check out this three-day winter itinerary. The truth of the matter is this: there are exactly 409 national parks that you can visit during National Park Week for free. 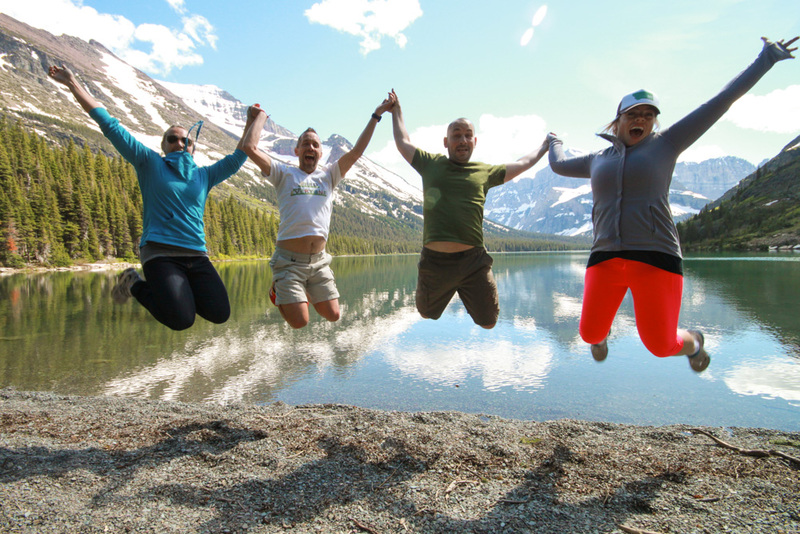 So no excuses, people…let’s all get outside and #FindYourPark. 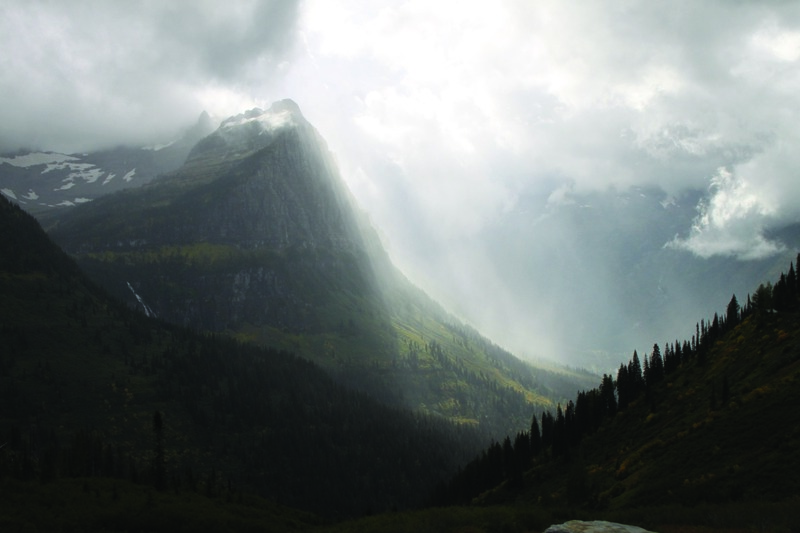 A stormy look into Glacier National Park’s Two Medicine Valley in spring. The National Park Service officially turns 100 on August 25 and many parks will be having celebrations that day. On August 25, Yellowstone National Park (the country’s first national park) is planning a large celebration, while Glacier National Park will be hosting an instagram meetup. 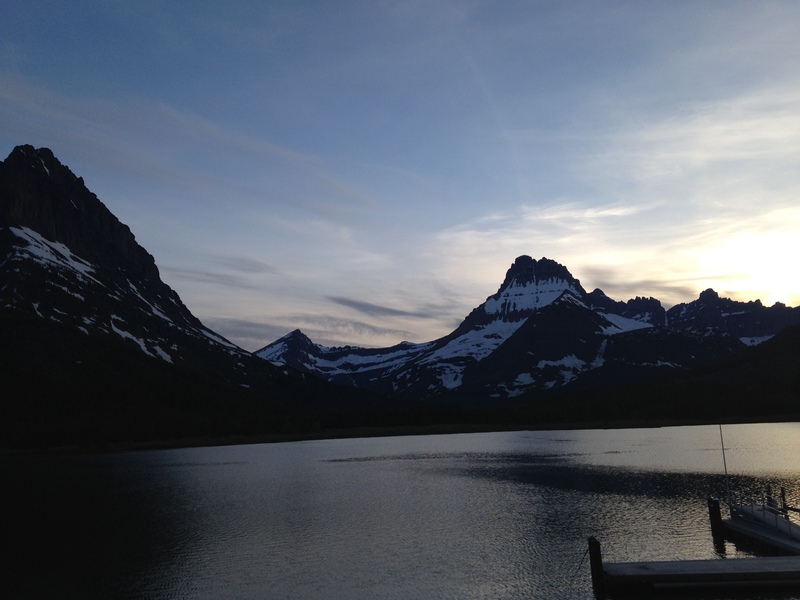 Night falls in Glacier National Park’s Many Glacier. Want to know a secret? Fall is literally one of the most amazing times to visit the national parks, especially Montana’s two national parks: Glacier and Yellowstone. Sidenote: you can read more about fall in the Crown of the Continent here. Fall at Bowman Lake in Glacier National Park’s North Fork. I can’t think of a better place to spend Veteran’s Day than outside and enjoying nature. The parks have been called “America’s Best Idea” and in my mind, our veterans deserve to be honored with a fee free day to some of our most special places. Sidenote: there is a free annual pass available for U.S. military member and their dependents. 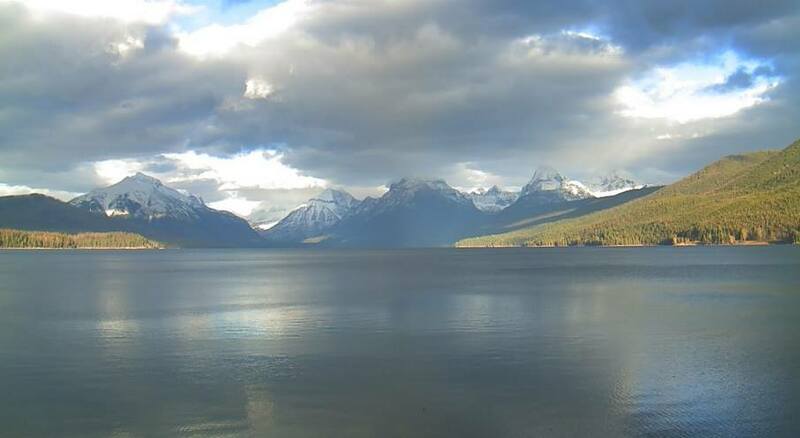 A peek at November 2015 from the Lake McDonald webcam. Here’s to many national park adventures in 2016! This entry was posted in Glacier National Park and tagged Glacier National Park, National Park Service on December 10, 2015 by tiatroy. 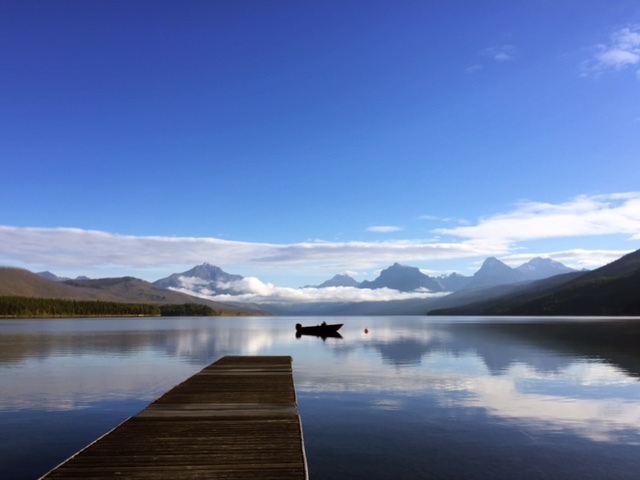 Earlier this fall, I had the chance to spend a few uninterrupted days in one of my favorite places: Glacier National Park. I was hitting the road with some pals who had flown in from across the country and for most of them, this was their very first time visiting the park. Needless to say, I was excited to show them just why this place is so special to me. And I’ve got to tell you, the weather, scenery and company didn’t disappoint. A perfect morning at Lake McDonald. We started off our stay in Whitefish, where we checked out their weekly farmers market before staying at the brand new Whitefish Downtown Suites. These adorable (seriously, so cute) vacation rentals are on Central Avenue and have downtown views. 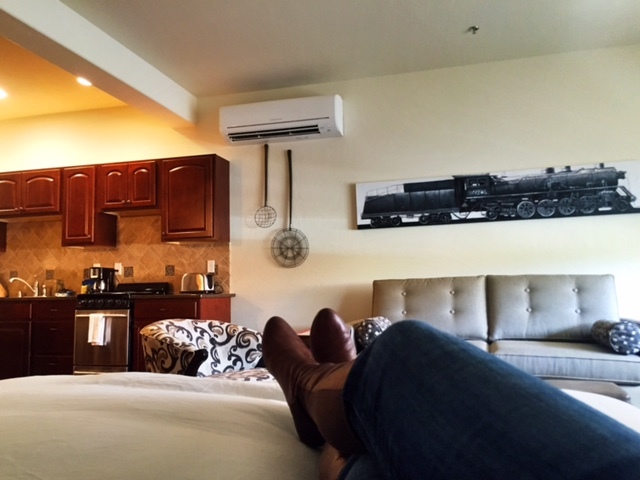 Relaxing in my very own suite. 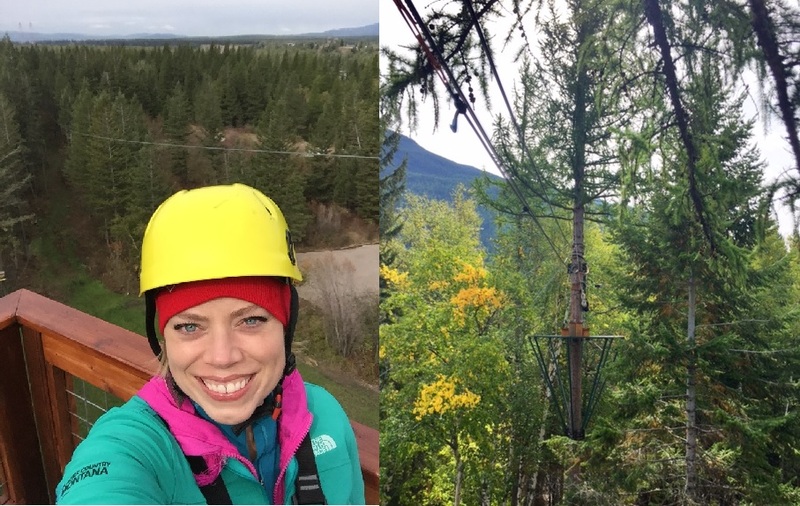 After a restful sleep, I decided to test everyone’s limits and we headed for Glacier ZipLines in Columbia Falls to try our luck at their 8-zipline course. Some of my friends weren’t quite as eager as I was to see how fast they could take the zips, but we all had a really fun time and as an (apparent) adrenaline junkie, I loved every minute of zipping through the trees. Getting ready to head out on the course’s first zipline! 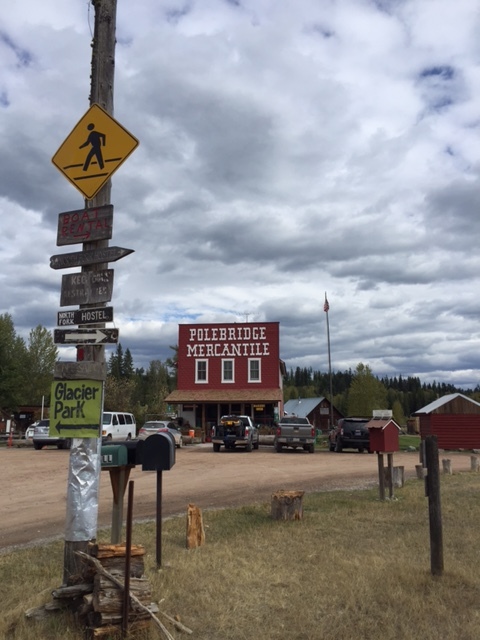 From there, we ventured north into one of the wildest parts of the Glacier National Park—the North Fork—and the off-the-grid community of Polebridge. The changing colors of the leaves, combined with huckleberry macaroons from the Polebridge Mercantile and the beauty of Bowman Lake made for a great day. Our first view of the peaks of Glacier National Park from the North Fork Road. A fresh dusting of snow on the peaks at Bowman Lake. 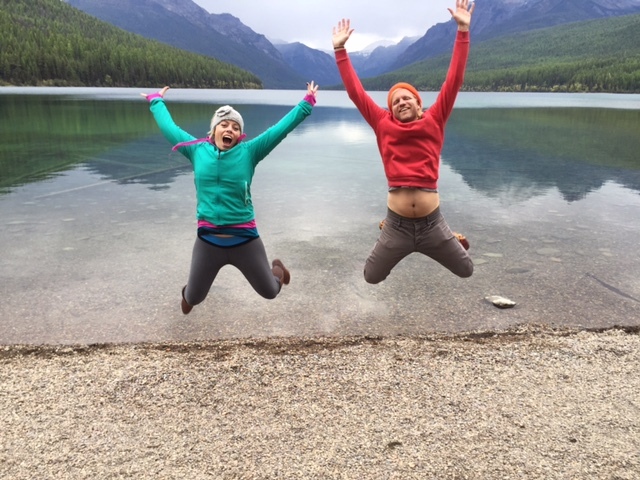 My friend Scott and I showing just how much we love Glacier National Park. After our trip to Bowman Lake, we decided our next full day would be spent along the Going-to-the-Sun Road. 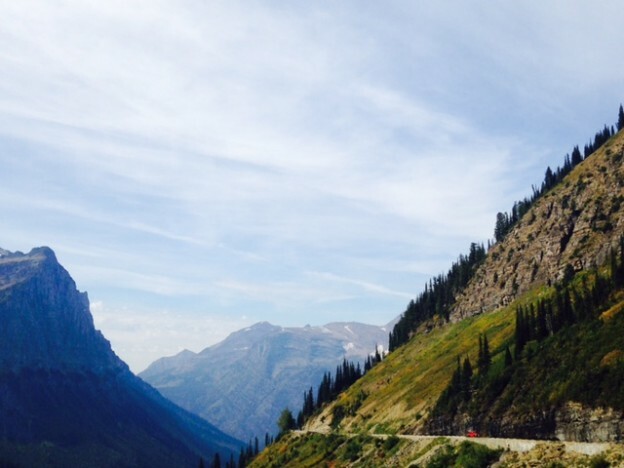 Sidenote: Let’s be honest, the Going-to-the-Sun Road is a beautiful drive any time you take it. However, there is something incredible about the road in the autumn. If you haven’t visited during September and October, I highly recommend it. Our first stop: Lake McDonald. Stopping to take in this view along the Going-to-the-Sun Road. From Logan Pass, we hiked to the Hidden Lake Overlook. Following our hike to Hidden Lake, we continued on the road toward St. Mary. 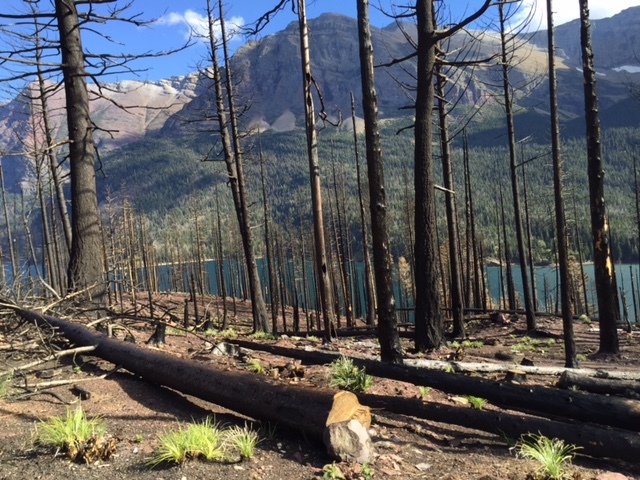 Along the way, we stopped to take a look at the area that was burned by the Reynolds Creek Fire. It was interesting to see how much new vegetation was already taking root. 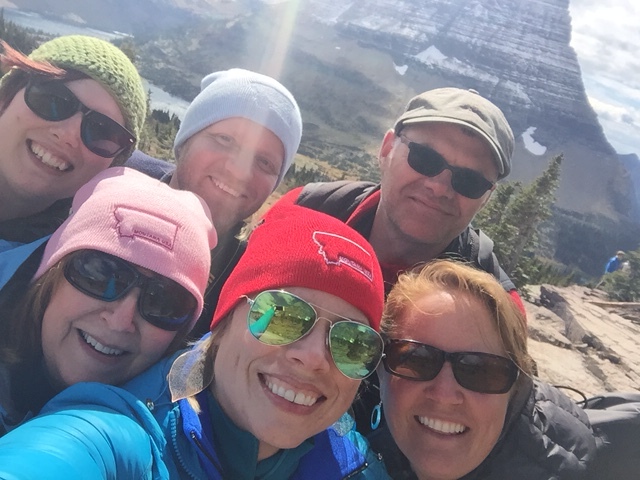 After a sun-kissed day exploring the Going-to-the-Sun Road and Logan Pass, we made our way back toward Kalispell’s Glacier Park International Airport so my friends could catch their flights home. As for me, I’m not sure if it was the fantastic company or the changing colors of fall that totally took my breath away at various points on our trip or if it was the opportunity to spend time in the park during one of its most quiet seasons, but I do know this: those few autumn days in Glacier National Park are days I’ll always remember. 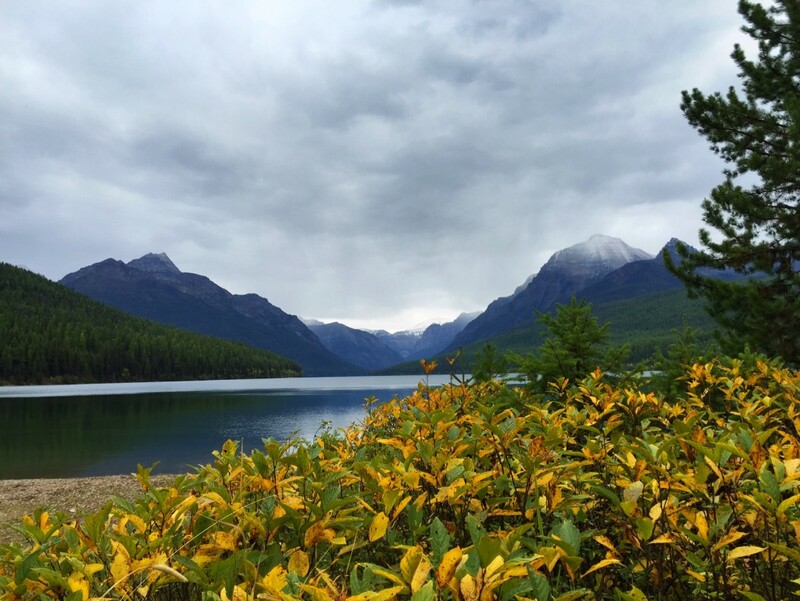 This entry was posted in Fall, Glacier National Park and tagged Autumn, Fall, Glacier National Park on November 6, 2015 by tiatroy. I’ve got a not-so-secret confession: I love selfies. And to be honest, I don’t care who knows it. You see, the fact of the matter is this: I’ve always loved the camera, selfie or not (much to my mother’s dismay as we have many home videos that include me jumping into the frame and yelling something sweet loud before striking a pose). 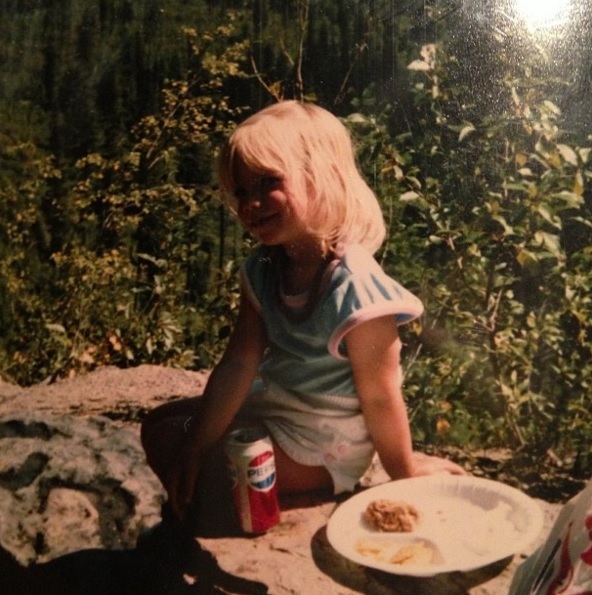 Striking a pose with my Pepsi in Glacier National Park. For me, it was more than just trying to steal my mom’s attention (although if I’m being honest, that may have been part of it)…instead it’s about having tangible memories. I love being able to look back on old images and remember the moments that were shared with people I love or being able to reflect on a perfect day spent outside. 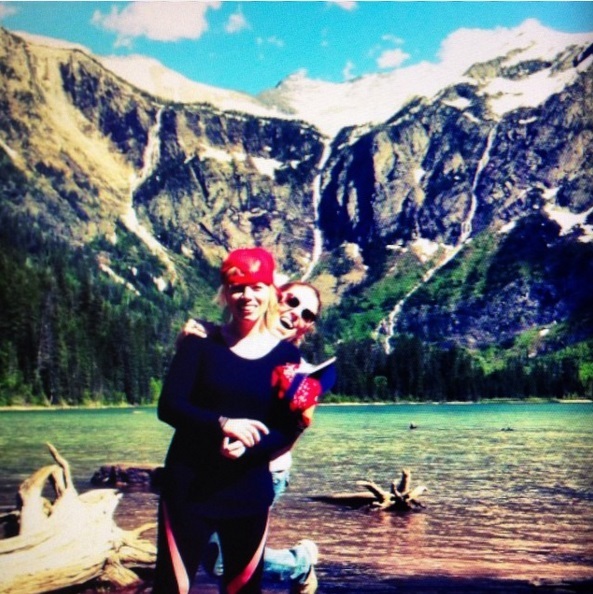 My other love, in addition to selfies, is Glacier National Park—also known as Montana’s most instagrammed location. 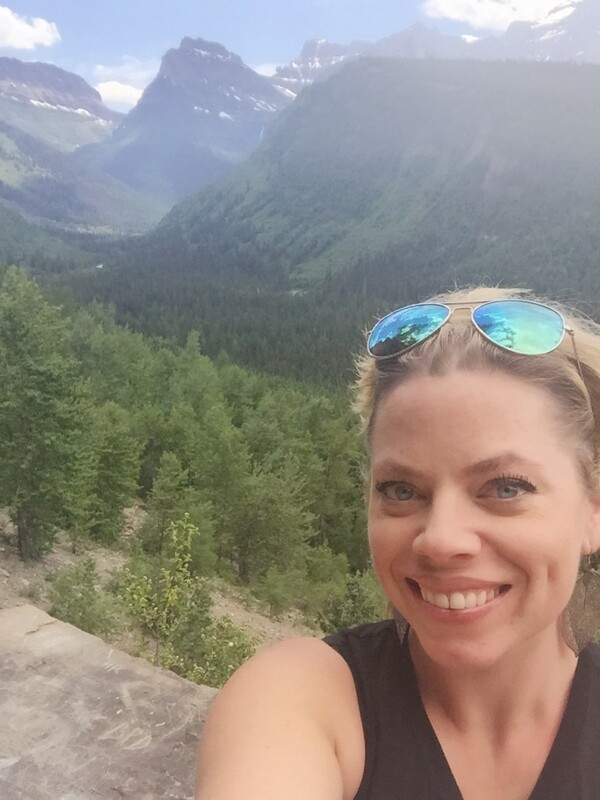 To combine my two loves, here’s my list of 6 places to take a selfie in Montana’s Glacier National Park. 1. 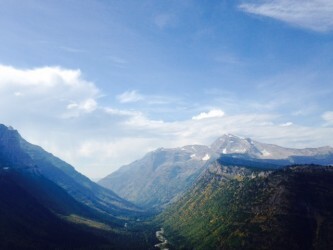 The west entrance of Glacier National Park. 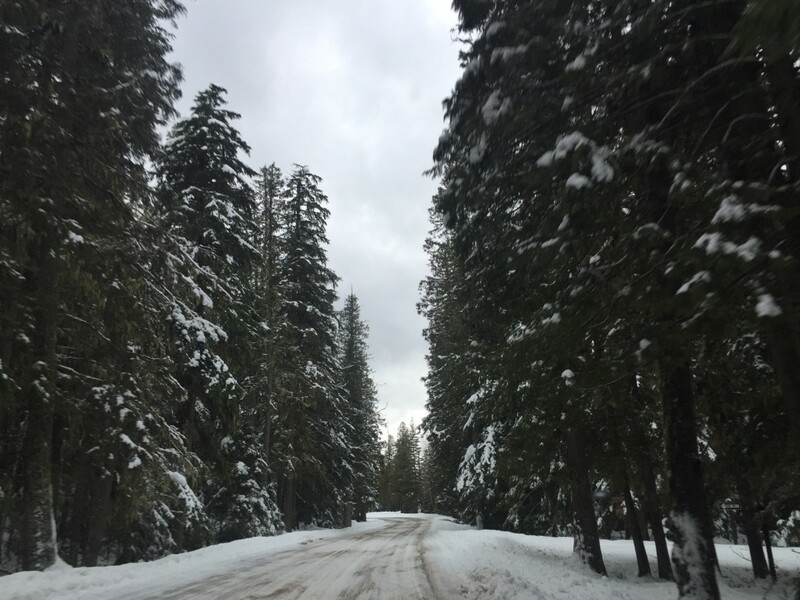 While all of the park entrances are great for selfie taking, the west entrance is accessible year-round and its pull-out area means more than one car can stop at a time. Group selfies are the best selfies. 2. On the water at Lake McDonald. 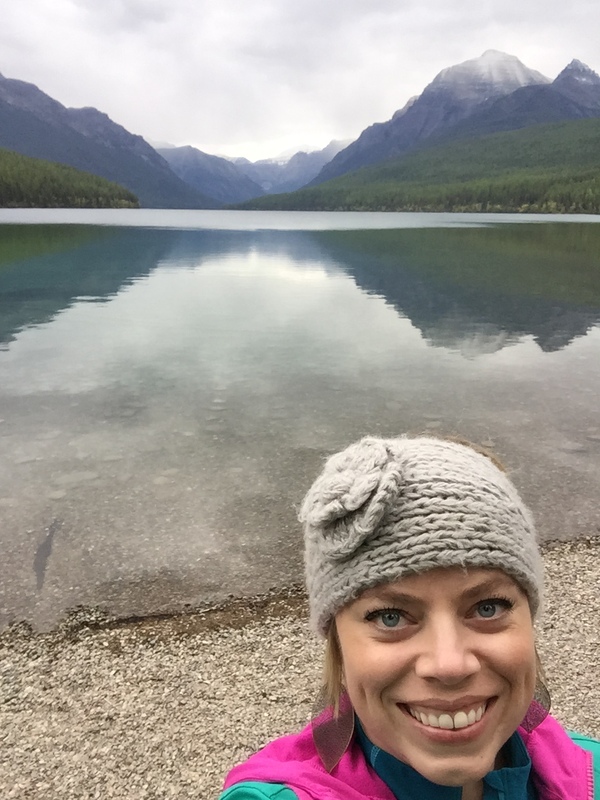 First things first, you can’t go wrong with a selfie from Apgar Village at Lake McDonald. 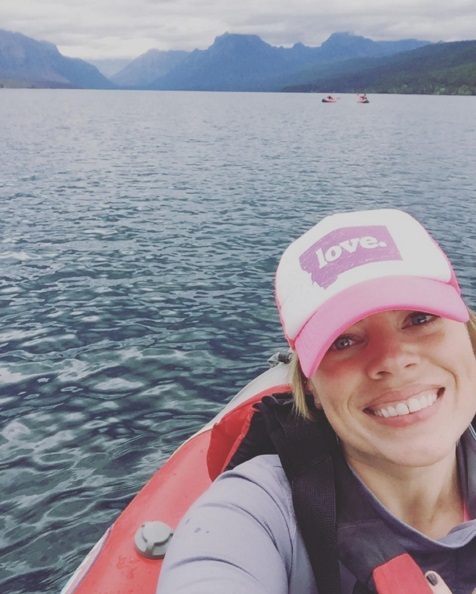 However, this fall I kayaked the waters of Lake McDonald and there was something perfectly serene about being out in the middle of the lake, surrounded by mountain peaks and lush forests. Kayaking on Glacier National Park’s Lake McDonald. 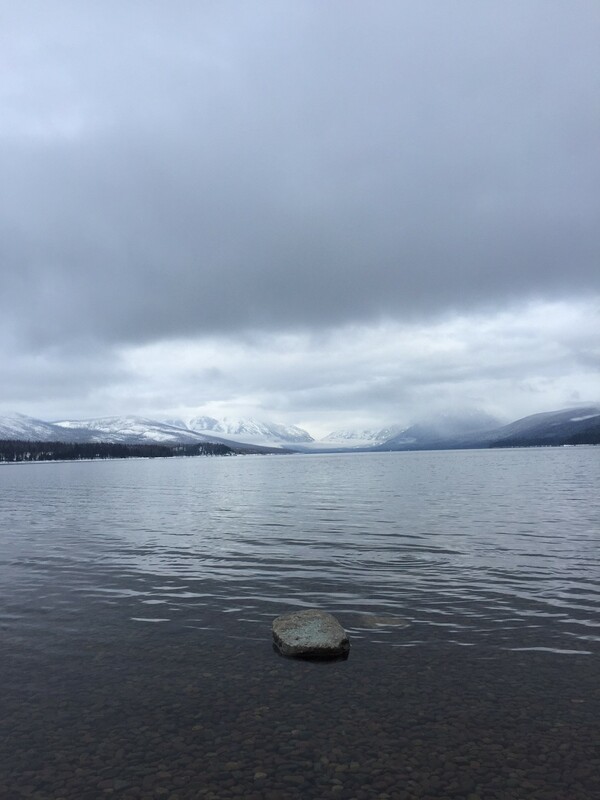 Lake McDonald from its southern shore. Perhaps the most popular destination in the park, Logan Pass is a great place to snag a shot. 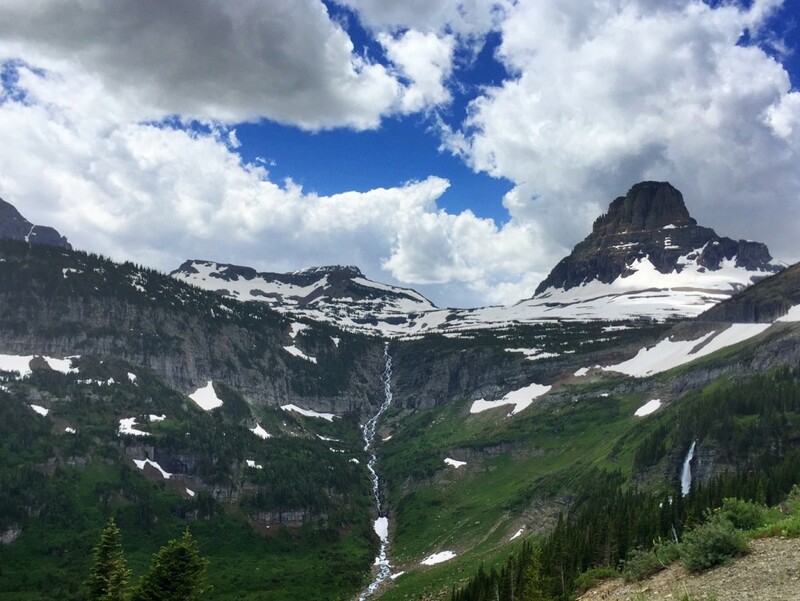 No matter the time of year (although the Going-to-the-Sun Road is closed from mid-October through mid-June), you’ll have a perfect mountain backdrop. Photo courtesy of my friend Corrie, @glacierguides. While it’s a bit of work to get to Bowman Lake in Glacier National Park’s North Fork, the beauty of this spot is phenomenal. I love Bowman Lake (and nearby Polebridge). Located partway up the Going-to-the-Sun Road from the west entrance, the overlook at Heaven’s Peak is beautiful. It provides beautiful views of the snow-capped mountain peaks, plus an expansive look at the Lake McDonald Valley. The Going-to-the-Sun Road will always have my heart. 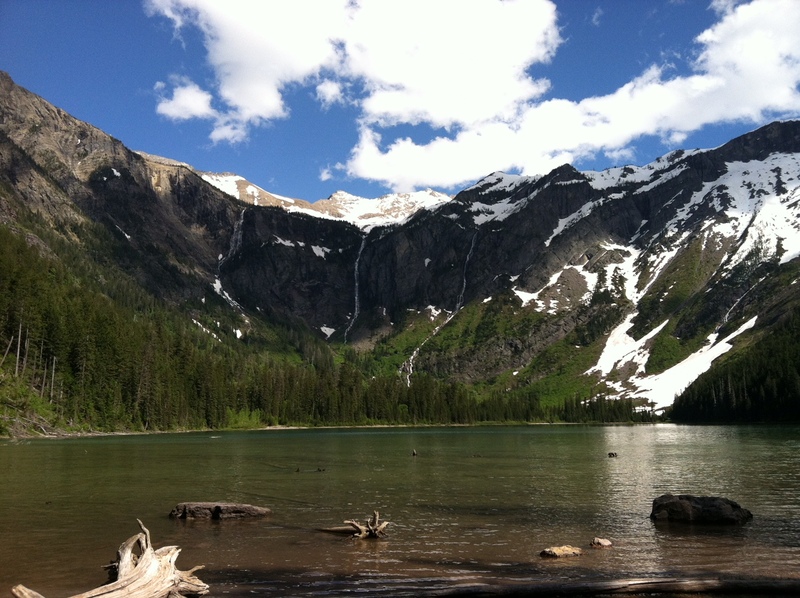 One of my favorite short hikes, the view of Avalanche Lake at the end of the trail is jaw-dropping. My favorite time to go is early summer due to the multiple waterfalls feeding into the lake. Your turn? 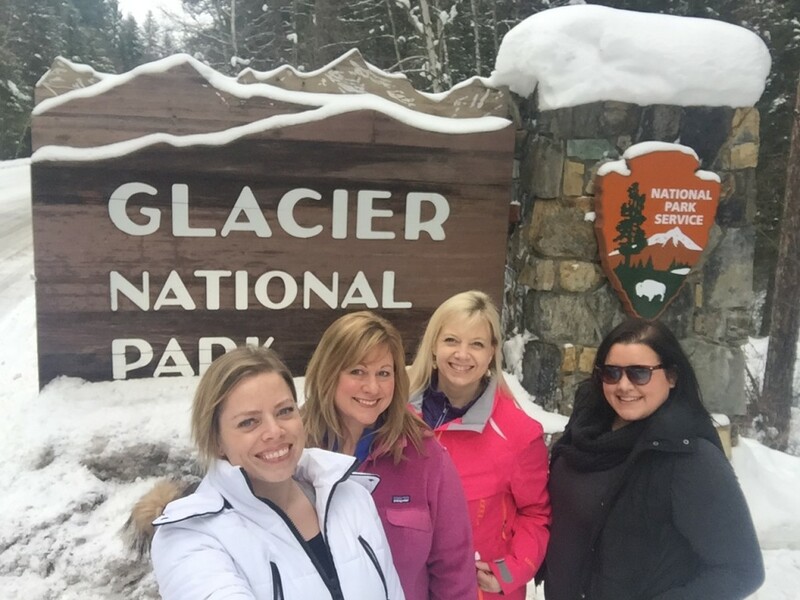 Where are some of your favorite places to snap a selfie in Glacier National Park? 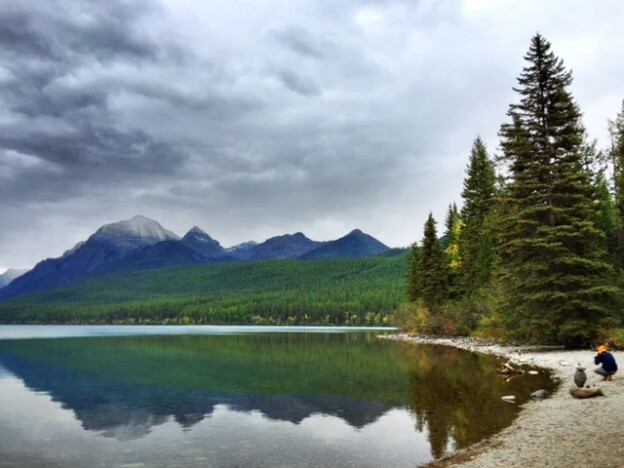 This entry was posted in Glacier National Park and tagged Glacier National Park on October 20, 2015 by tiatroy. 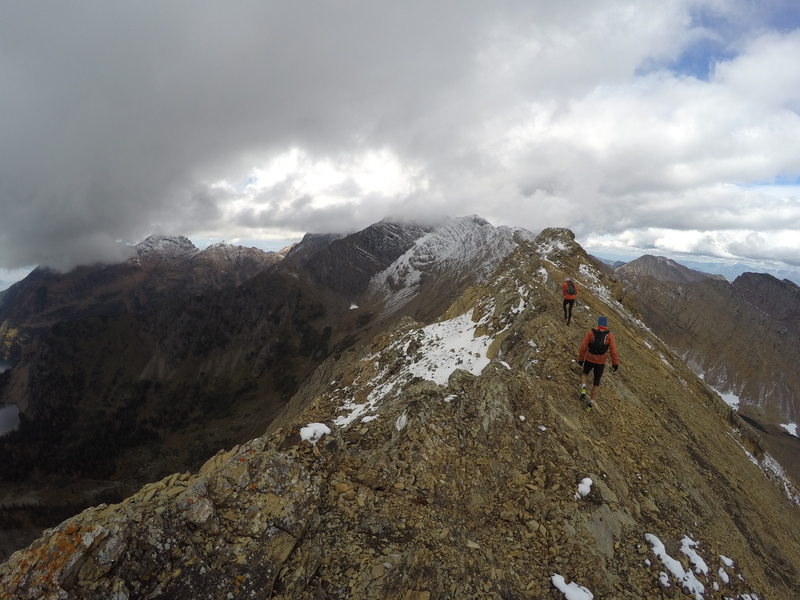 Earlier this month, three explorers departed on a journey that would take them on a 600-mile-long run through the mountains of Montana and Alberta. Athletes Mike Foote and Mike Wolfe, along with photographer Steven Gnam departed from Missoula, Montana and will end their trip in Banff, Alberta on a journey called the Crown Traverse. Along the way, they’ll be traveling through rugged and remote mountain landscapes on a route that has never been attempted. (Um, awesome right?!) Throughout their three week journey, they’ll be providing insider perspectives (and stunning photography) of one of the largest contiguous ecosystems in the United States as they help to bring awareness of the significance of this region. And if you want to follow their journey? You can track them via GPS here or follow along at #CrownTraverse on facebook, instagram and twitter. In the meantime, here’s a peek at some of the images that have been shared to date. The thing I love most about what they’re doing? It’s that they’re sharing photography, moments and glimpses into a truly wild part of Montana that not many people (including me) will ever get to see in-person. And for that, I’m thankful. This entry was posted in Uncategorized and tagged Backcountry, Glacier National Park, Montana on September 22, 2015 by tiatroy. 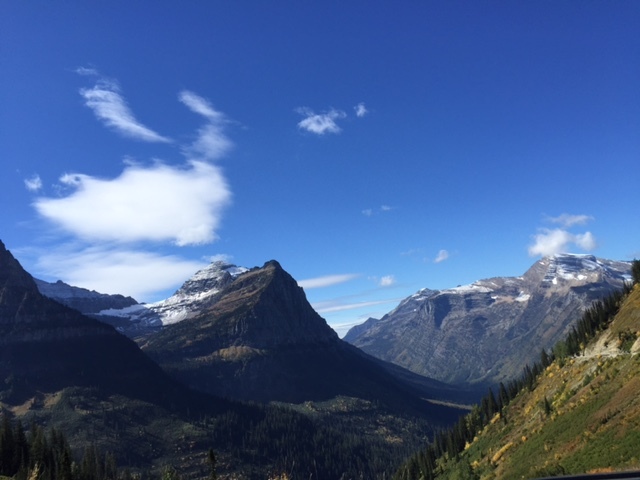 Good (awesome) news: Glacier National Park’s Going-to-the-Sun Road is going to be open in its entirety through Sunday, October 4, 2015 (two weeks longer than originally planned). A red bus cruises along the Going-to-the-Sun Road. Looking down into the Lake McDonald Valley from the Going-to-the-Sun Road. Early morning fog + fall colors. 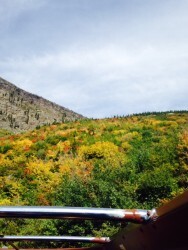 Fall colors from a red bus tour. 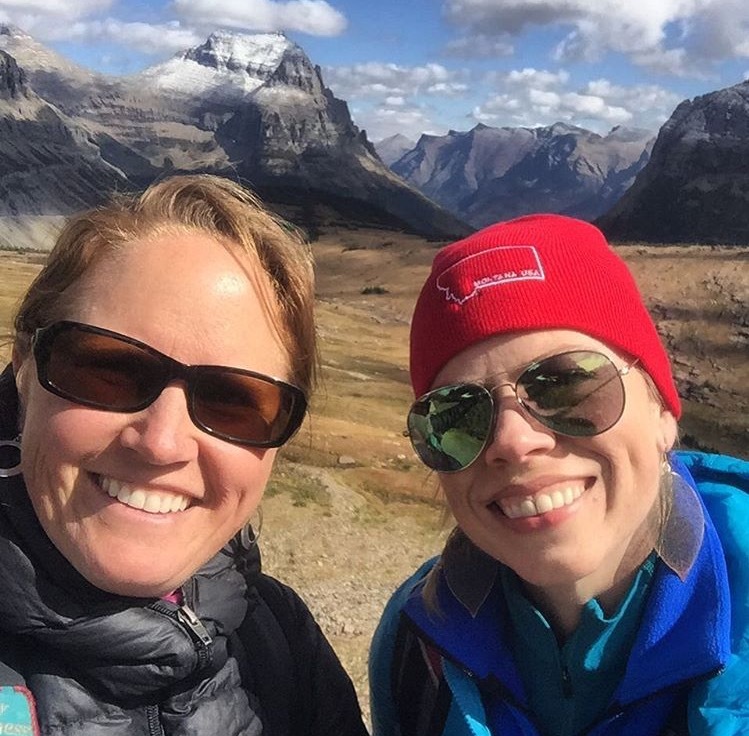 -After October 4, hikers and bikers will have access to the east side of the Going-to-the-Sun Road on weekends and evenings, weather permitting. 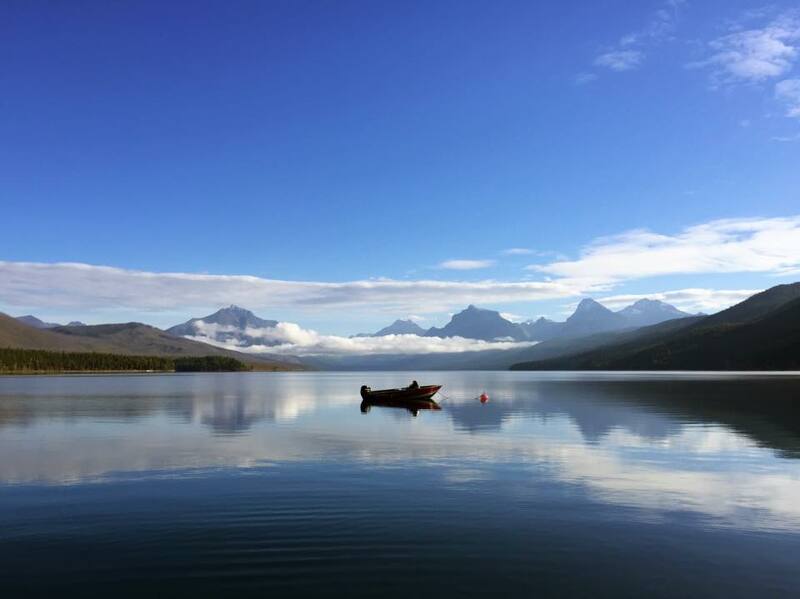 –Glacier Guides and Montana Raft Company will be doing daily group/custom hikes until October 3, as well as rafting and fishing trips (as determined by water levels). Plus, Glacier Guides Lodge in West Glacier will be open until October 15. 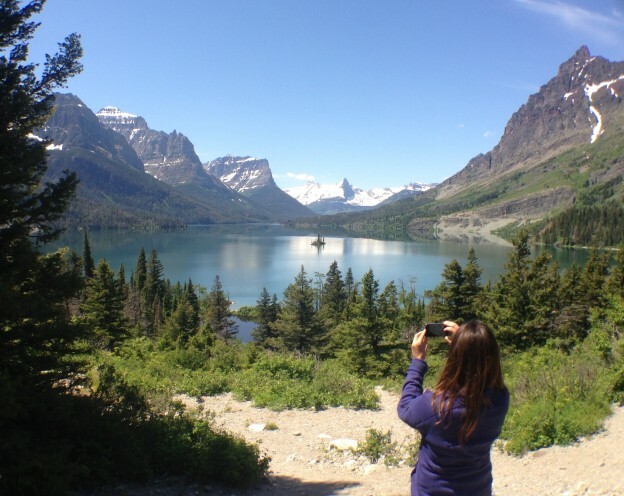 –Glacier Sun Tours offers regular tours and departs from East Glacier Park and St. Mary. –Red bus tours will be departing from the west side through October 18. -OSO Smokehouse (located inside Historic Tamarack Lodge) is open every day through mid-September. After mid-September, they are open for dinner on Friday and Saturday, and for brunch on Sunday. -Swan Mountain Outfitters is offering trail rides from the West Glacier corral through October 4. –The Crown of the Continent Discovery Center in West Glacier is open through October. 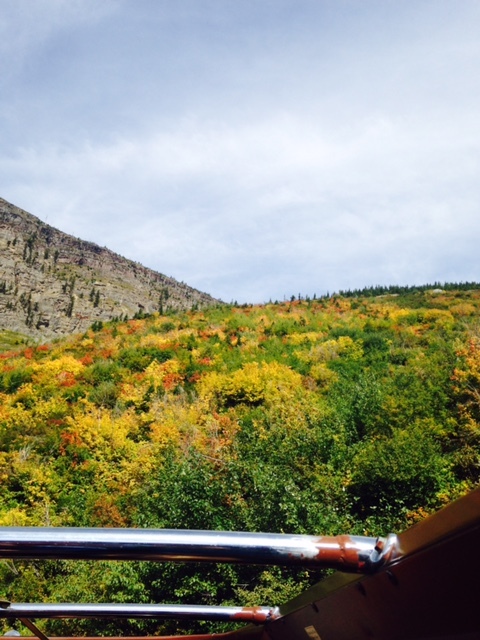 –Great Northern Raft and Resort is open for lodging until October 15. They’ll also be offering fishing and rafting through the first week of October. 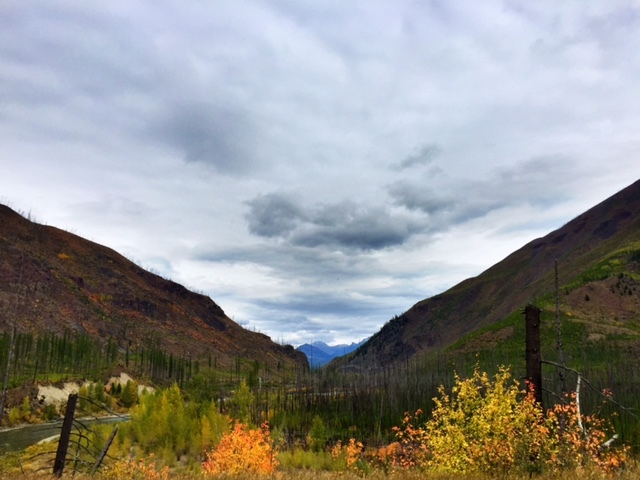 -Logan Pass is accessible from the west entrance through the third weekend in October, weather dependent. So…who wants to meet me in the Crown of the Continent this October? This entry was posted in Uncategorized and tagged Fall, Glacier National Park on August 27, 2015 by tiatroy.